At HuffPost Australia and Johnnie Walker, we love sharing stories of personal progress. 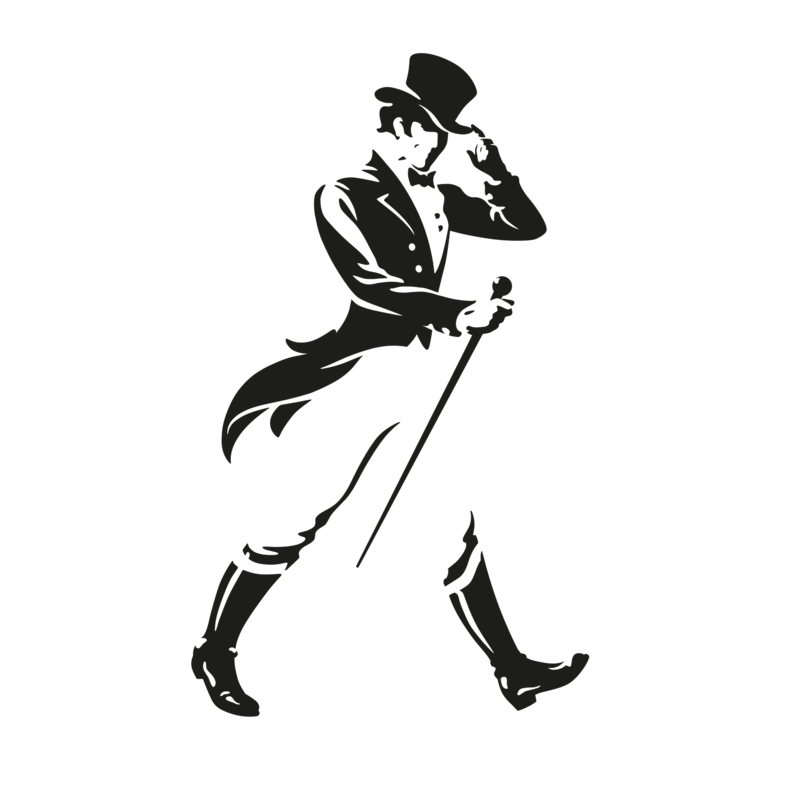 The Johnnie Walker story is one of a pioneering spirit passed on from one generation to the next. They believe in the philosophy of perseverance, innovation and progress, from the Whiskies created to the continual sharing of inspiring, universal stories of the human spirit. Here you will find stories of the most inspiring social and cultural themes of our time. We will shine a light on people who approach life with a humane, resilient and optimistic mindset, especially in the face of adversity. We want to take this journey with you. We will walk, talk and collaborate with people whose real life narratives need no exaggeration, whose stories show they have overcome obstacles, shown courage and strength and achieved their dreams. Keep Walking and join us on this Extraordinary Journey. Have you ever asked yourself the question, 'What's stopping me?'. Why you can't stick to your goals, be it eating well, moving your body or not working too much? Chances are you're making up excuses to let yourself off the hook. "Some of the most common excuses I hear from people are 'I don't have time', 'I'm too old', 'I'm injured', 'I'm too tired', 'I'm not as fit as I used to be'. How do these excuses start? They begin as a protective measure to avoid pain, your pride, your ego -- it's our way of avoiding the truth," performance trainer Scott Evennett told HuffPost Australia. What did your parents teach you? We can all recall the frequent reminders to say our 'pleases' and 'thank you's. But how about the other -- more significant -- pearls of wisdom? "Our relationship with our parents is fundamental in defining who we will become later in life," Psychotherapist at Associated Counsellors & Psychologists Sydney Dan Auerbach said. Darren Robertson is not exactly what you imagine when you think about a successful chef. He's nothing like the ill-tempered caricature of a blustering red-faced bloke in chef's whites, barking orders at underlings. The 40-year-old British chef behind Three Blue Ducks is a towering, warm, smiling type of man. He's the kind of guy you'd like to pop round and cook dinner for your mates before all heading to the pub. He calls his suppliers "brother" and he doles out his big grin with ease. Whether you define 'community' as the area you live in, the place you work, your religion, a yoga group, or all of the above, community -- and inclusion in it -- can become the lifeblood of our changing world. And as social beings who often live away from our parents and families, it's more important than ever. "The unexamined life isn't worth living." Chances are you have heard it before. "Travel gives you real world experience." "Travel helps you grow as a person." "You should travel, it will look really good on your resume." There's no doubt that the corporate world -- particularly at the entry level -- appreciates a candidate who is well travelled. The question is, why? How does going overseas actually correlate to being more employable? A few years back I was working in a senior position for an IT consultancy firm. I had a client meeting, except on that particular day something happened that would change my life forever. Walking into the office of my new client, the man in front of me glibly looked me up and down and said: "So, I guess they just hire pretty young blondes to make all of the sales, eh?" Temporarily shocked, I brushed his comment aside and began to talk shop. Soon he was clearly taken aback by home much I -- a young woman -- knew. A personality trait that's rather important in this current political climate. In 2017, many people are feeling a little less than optimistic about the state of the world. Between rising house prices, the fear of terrorism, global warming and an increasingly hostile divide between the right and left in politics worldwide, there's no shortage of anxiety and fear for the future. So when someone offers a healthy dose of optimism, it's a refreshing change. And Simon Sinek -- the self-described "unshakable optimist" -- is nothing if not refreshing. He's the guy who eloquently answered the 'millennial question' and talked about the addictive impact of smartphones on kids in an interview which quickly went viral late last year. Whatever stage you're at in life -- many of us feel there's still some room for improvement. Whether that's professionally, in relationships or simply understanding what really makes you happy. Below, experts have identified seven activities -- both big and small -- that will help give you a sense of achievement, and can help you progress in a variety of different areas. Some of them can be practised in a matter of minutes each day, while others may take a commitment of weeks, months or even years. It's safe to say that Canada has always been one of the cooler countries in the world. Let's not forget they gave us poutine, which is basically just chips, cheese and gravy, so for that alone they'll always be number one. But in recent times Canada has really stepped up its game. They're responsible for Drake and Justin Bieber -- don't pretend like you don't love him -- plus, three of their major cities regularly top 'most liveable' lists. The verdict is in, Canada is cool. But if there was any doubt about their credentials -- along comes Justin Trudeau. Canada's Prime Minister is quickly redefining what it means to be a world leader, with his progressive views, sense of humour and award winning hair. Born between eight and ten weeks premature in 1948, Professor Ron McCallum developed retrolental fibroplasia -- a condition where oxygen therapy used to aid underdeveloped lungs causes damage to the eyes -- and lost his sight completely by the age of three months. A prominent labour law expert, Professor McCallum has spent more than four decades teaching law. He is currently Emeritus Professor at The University of Sydney, a member of the Australian Administrative Appeal Tribunal, was awarded Senior Australian of the Year in 2011 by former Prime Minister Julia Gillard, and has chaired the United Nations Committee on the Rights of Persons with Disabilities. As we say farewell to our favourite season -- thanks for the pool parties, summer! -- it's time to prepare for a cool change. While we're all accustomed to the harsh conditions of winter -- it's cold, wet and windy -- the arrival of autumn can be problematic too. Gone are the long days full of sun, surf and sand, replaced instead by the routine of everyday life. But rather than resigning yourself to three months of feeling flat, fed up and confused, why not look at the ways you can turn the change of season to benefit you now, and for the rest of the year? We've always been taught that with great risk, comes great reward. But what if you're not a natural risk taker. Or if you don't mind mild risk, but anything too risky is off the table? The reality is that no two people are the same when it comes to charting their behaviour patterns, risk taking or planning. Luckily for you, we've designed a little quiz that can help you learn more about the person you really are, examining your reactions to risk, the ramifications they have and how you can progress based on your style of decision making. As the clock ticked over to midnight the majority of us will have had some sort of resolution or goal in mind for the new year. Whether that was shedding a few kilos, quitting smoking, or finding a new partner. However, despite our good intentions, mere weeks into 2017 and there's a good chance that these resolutions may already be in tatters. When it comes to addressing issues surrounding both our mental and physical health, more and more experts are telling us the workplace is an ideal place to start. But as the nature of work changes ever so rapidly, it can also be a place where health -- particularly mental health -- creeps down the priority ladder. "Whilst we are talking more these days about health and wellbeing issues, what we are finding is that this awareness is not being translated into action -- particularly from the top," CEO of Australian men's health organisation OzHelp Tony Holland told The Huffington Post Australia. Happiness is a tricky thing to quantify. What makes one person happy might not work for another. It might be a pet that brings someone joy, whereas for another it could be completing a big project at work. Though science has been able to identify a bunch of universal things that are proven to improve happiness for everyone -- and with 40 percent of a person's happiness made up by daily activities, you might want to consider adding some of these to you to-do list. Though the pair narrowly missed out on the gold medal at the Rio Olympics, as a team, Ryan and Belcher, 33, have dominated their category -- both domestically and internationally -- winning more than a dozen Gold medals together at competitions such as the 470 World Championships and ISAF World Championships. Their journey continues. Use nature as your gym. Whether you're spending a week on the road in a variety of locations, are away at a conference or are always on the go travelling interstate for business, there are always ways you can integrate fitness into your travel schedule. The beauty of living a routine life is that most of the time you don't even realise you're in it. Eat, sleep, wake, repeat. But the downside of this day to day cycle is that sometimes routine can be a one way ticket to complacency. Repetition breeds familiarity, which can breed bad habits. Not only can these be hard to kick, they can hinder progress we might be otherwise making. The good news is that a few tweaks on the routine front can help you be the best version of yourself -- something that's likely to be on your radar over the New Year. The good news is, sometimes a small -- and simple! -- change can have a big impact. With the arrival of 2017, it's that time again when our thoughts tend to turn towards resolutions and bettering ourselves. But rather than setting overly-ambitious goals, why not focus on learning a skill that will help keep you motivated through the year, and perhaps even improve your life too? Invaluable at any time of the year, research shows that people who learn a new skill can improve memory and even stave off cognitive ageing. Not only that, but taking up a new hobby acts as a creative outlets and gives you something to look forward to. While we're all unique, there are common emotional experiences that we share, experiences that are part and parcel of human existence. But when it's a challenging emotional journey, how do you go about regaining a healthy equilibrium? And why are some personal journeys harder to handle than others? While the little things in life can certainly make your day, a growing body of research says keeping your eye on the long game can make a major difference in how much you enjoy your life. One recent study found that living your life with a sense of purpose could make you less likely to rely on external validation (in this case via Facebook "likes") for your well-being. What motivates you is entirely up to you. But understanding your own priorities, knowing what you are working to accomplish and being committed to meaningful causes can help balance your sense of self-esteem and self-worth. The Dalai Lama once said: "Happiness is not something ready made. It comes from your own actions." During a difficult period of my life I leant strongly on the philosophy of Buddhism. Among the many lessons I learned is that the gift of giving not only brings so much satisfaction and happiness to the giver, but it also has the ability to create a ripple effect. I learned that one small act of kindness can mean so much to so many. If history has shown us anything it's that great leadership, either at home, work or in even an oval shaped office, requires a healthy dose of persistence and determination. That's a knockout combo when it comes to inspiring others, as shown by these five amazing leaders. We're all familiar with rags to riches tales -- the entrepreneur who went from being almost homeless to netting a bank balance in the hundreds of millions, or the university dropout-turned-software giant. And while success for some may appear easy, it's often far from it. With the odds firmly stacked against them, their victories make us ask ourselves the question: if THEY can do it, why can't I? From goal-setting to tenacity, below experts identify the habits of people whose setbacks have helped fuel a drive for success. From marathoners who actually did it. Almost 50,000 runners crossed the finish line at the TCS New York City Marathon on Sunday. Most posed for a photograph, collected a gold medal and then walked, limped and winced their way toward friends and family. Because that's the truth of it ― for most, even the professionals, running 26.2 miles hurts. Which leads to the question: What does it take to accomplish such a tremendous and taxing fitness goal? Copyright © 2018 The Huffington Post Australia Pty Ltd.